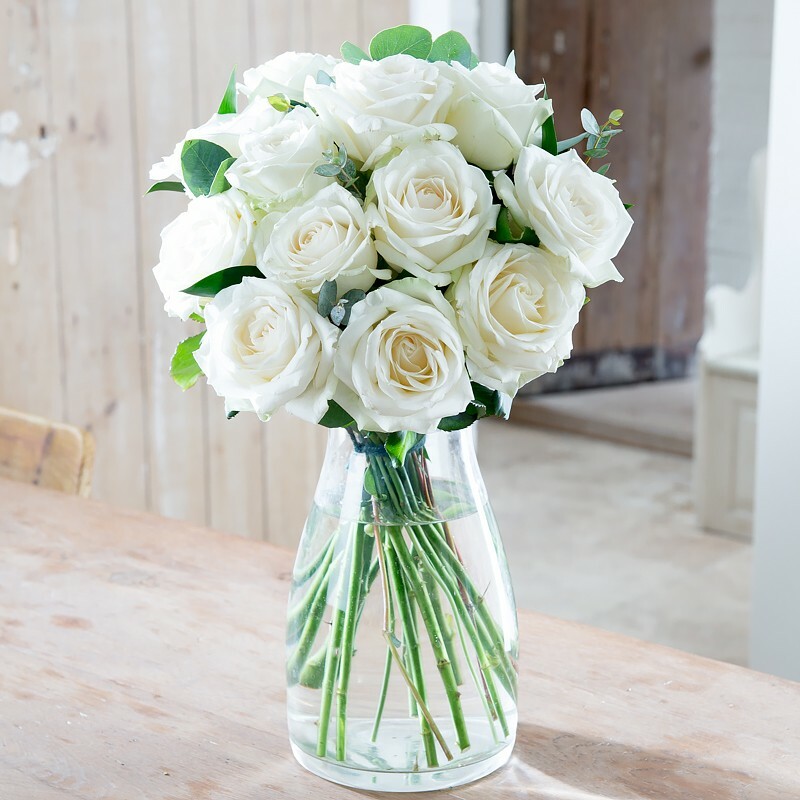 An elegant gift of white luxury avalanche roses accompanied by meadow-like foliage. Luxury white roses make the perfect gift to send to a loved one. Please note the bouquet pictured is the large size and the vase is not included.